MegaHost Review 2019: Is MegaHost a Good Hosting? MegaHost is a Romanian company known for their fast servers and budget-friendly hosting packages. They’ve been in the web hosting industry since 2005 and pride themselves on their quick support and account activations. MegaHost is known in Romania for their fast servers and budget-friendly hosting packages. They’ve been in the web hosting industry since 2005 and pride themselves on their quick support and account activations. MegaHost features a range of plans suitable for beginners all the way to large corporations. These include shared hosting, reseller hosting, VPS hosting, and dedicated servers. This plan is lightweight but offers sufficient resources for individuals or startups in urgent need of a simple online presence. It only hosts a single domain and affords you minimal CPU resources though, so if your website starts becoming more popular, you may find this plan restrictive. The plan includes the Softaculous app installer with 250+ pre-installed scripts available. 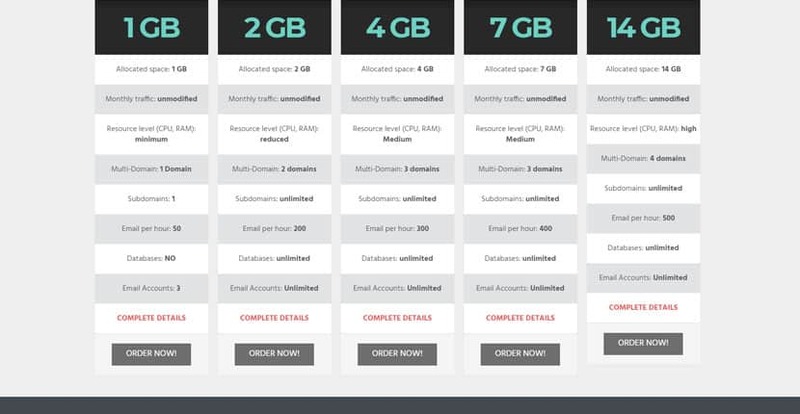 Their highest-tier shared hosting plan upgrades you to 14GB storage, a high level of CPU resources, up to four hosted domains, unlimited subdomains, unlimited databases, unlimited email accounts, and up to 500 emails sent per hour. This will definitely serve a late-stage startup or a fairly static small to medium-sized business website well. However, if you’ve already reached this point and you happen to have a tech-savvy person on staff, you might want to choose one of their unmanaged VPS packages instead. These guarantee you 99.9% uptime, whereas their shared servers seem to give you no such promise. Their servers and headquarters are located just outside of Bucharest, Romania, which affords European users faster-loading speeds. Shared servers comprise RAID 10 storage drives, Intel Xeon octa-core processors, a minimum of 32GM RAM, and HDD SATA III drives that run at 7200 RPM. They don’t seem to have a “no overselling” policy for their shared servers, but user reviews indicate that their servers are fast and efficient. MegaHost has one of the most affordable entry-level shared hosting packages I’ve seen in the European market, which makes them an ideal choice for those just starting out. There are lots of video tutorials to help you ease into your hosting plan, including one that shows you how to install WordPress from your cPanel. If this is your first time building a website, you can also contact their support about how to set up a blog or business website. There are no free plans or trials available. There is, however, a 30-day money back guarantee with a “no questions asked” policy. Bear in mind that this only applies to the hosting package – if you’ve registered a domain with them (which comes at a separate cost, by the way), this registration fee will not be refunded. It’s easy enough to upgrade or downgrade your plans if you need to, but you’ll have to contact their customer support to do so. There’s no option to do it in your user management portal. All hosting packages come with 24/7 technical support through a ticketing system. Unfortunately, their live chat and phone hotline are only available on weekdays from 9 am to 5 pm (Romanian timezone). You’ll need to be able to speak the Romanian language to communicate with them; non-Romanian users may find this challenging. MegaHost is a fast, reliable European host with an especially budget-friendly option for those just starting out. However, while their shared hosting is excellent, their VPS and dedicated servers may require you to have a more technically-competent person on staff to help you manage your hosting. Wondering how MegaHost stacks up against other Web Hosting companies? Enter any other Web Hosting company and we will give you a side-by-side comparison.